He’s one of a kind; make sure he stands out in the Stacy Adams Somerton. 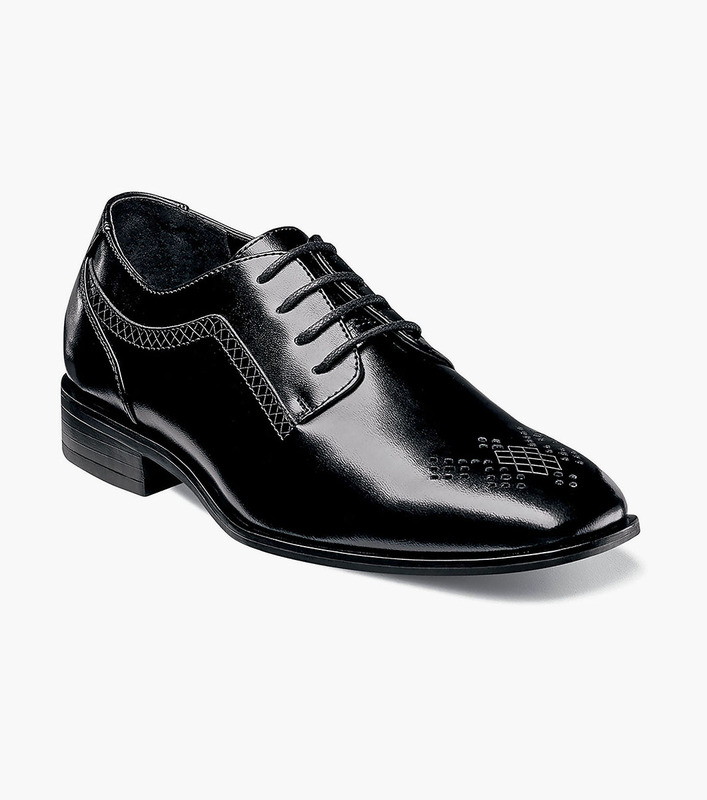 Clean-cut and fashion-forward, this plain toe oxford puts a unique spin on a classic dress shoe with laser-etched details reminiscent of classic brogue perforations. The Somerton is a plain toe oxford.